The Uber of cloud computing. 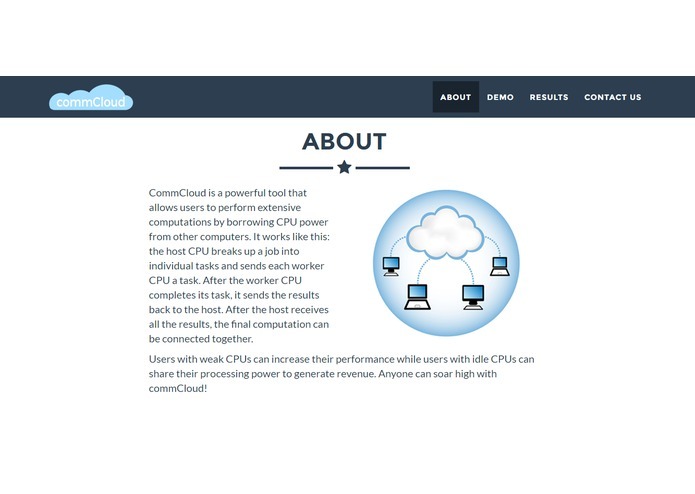 CommCloud is a powerful tool that allows users to perform extensive computations by sharing CPU power with other computers. It works like this: the host CPU breaks up a job into individual tasks and sends each worker CPU a task. After the worker CPU completes its task, it sends the results back to the host. After the host receives all the results, the final computation can be built back together. How many hours a day do you use your computer? Most people would say a couple of hours; and most people don't turn their computer's off when they're not in use. What if you could generate revenue and help others during this time? Users with less powerful CPUs can increase their performance by making use of other people's idle CPUs. The idea is that users who volunteer their processing power will be compensated at least enough to break even with their bandwidth and electricity costs. The goal is to give users the ability to perform large, complex computations without the need to access a supercomputer. I enjoy solving complex problems. In my opinion, the more complicatied the better. 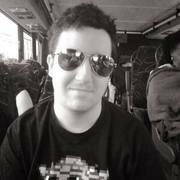 CommCloud will be expanded. It will consist of Desktops, labtops, and handheld devices. Note, it is not meant to replace big names like AWS. It is more for private groups who need a little extra power to do some task, but it could also be used as a server to host some online game. I will be placing it in a private repository, because I want the code to be consistent, and have a few documents prepared for the users on release.